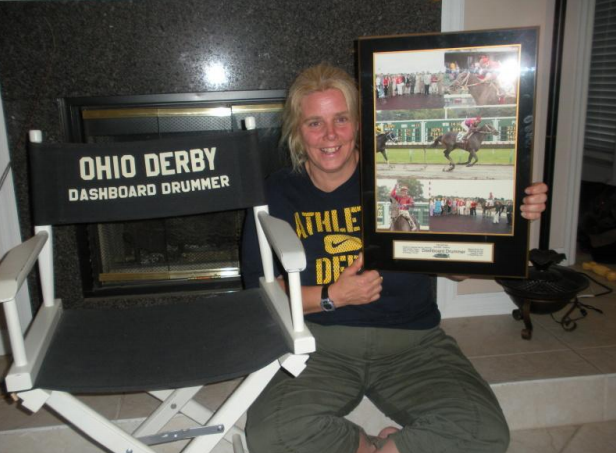 Dashboard Drummer [Equibase profile] won stakes races from New York to Florida and earned more than $500,000 in purse money, while making lots of fans along the way. He ran his last race at Turf Paradise, finishing 3rd, and retired at age 9. 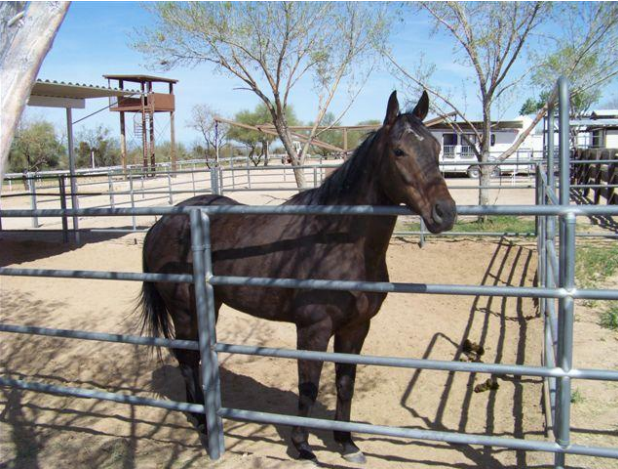 He now resides at Equine Encore Foundation, a retirement farm in Arizona. Dash was an truly amazing horse early on in his career. At this time I didn’t work for Allen Iwinski, whom trained Dashboard Drummer, as I had left to go on to further my career. (I now am his Farm Manager in Ocala, Florida.) But I followed this horse’s career the whole time. He won the Grade III Sapling Stakes at Monmouth Park, and from there I said: Wow, this is a great horse with a lot of heart! As the years went by he of course declined, got claimed, and eventually turned up at Turf Paradise in Arizona, running on the bottom level in claiming races for $3000. Dash ran 5 times at Turf Paradise, and from the third start I knew I had to do something to get him retired safely. I reached out to Maggie Moss, the most amazing owner I have ever known for taking care of their horses. I remembered that Maggie was instrumental in claiming a horse named US Gold, a horse that I had taken care of in my grooming years for Frank Passero Jr. Maggie said she would put up the money to claim him, but I was responsible for reaching out to the public to raise donations so that she could be paid back. Dash goes to post in the Grade 1 Champagne S. at Saratoga; he would place third. Judith Smith offered to help find transport and a place to keep him. Beverly Strauss from MidAtlantic Horse Rescue offered to accept the donations for Dash so the people willing to donate would be able to receive a tax receipt for their donation. It took about a week to raise the $3,000 we needed after his race. I remember the day he was entered to run: March 28, 2010. That morning I had pins and needles in my stomach, and I couldn’t eat at all. All I could think about was what if he got hurt, what if he broke down, what if there was more than one claim in the race. We all watched together on Alex Brown Racing Forum, talking the whole day while we were waiting for Dash to run. Then the call came: we got him! Time to celebrate: Ferris and the boss dig out Dash's memorabilia and party after they knew they'd won the claim. That was Dash’s last race, and he wouldn’t ever have to run again. Pattie Shirley from Equine Encore Foundation picked him up the next day, and he now resides with her in Arizona. 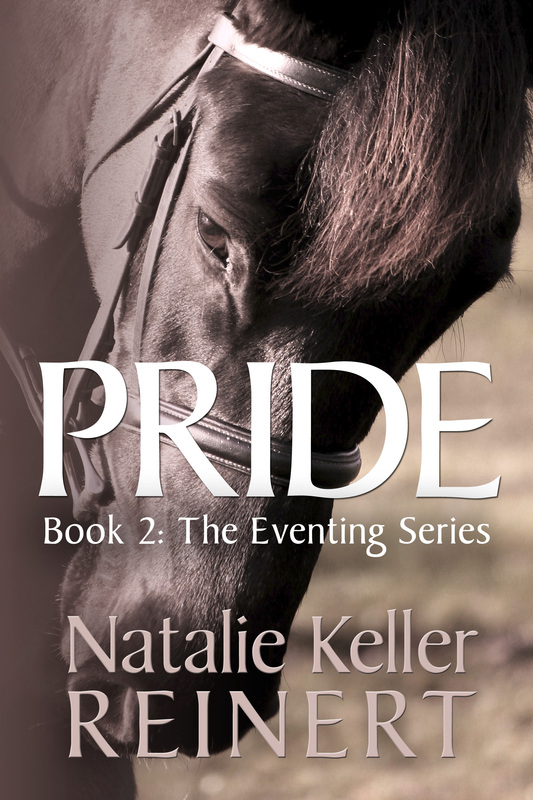 They are a non-profit organization and rely on donations for the 60+ horses they have. Retiring Dash was a very big accomplishment for me in horse rescue and I hope for many more to come. I have so many people to thank: First and foremost Maggie Moss. She truly is a great owner and horse advocate, and without her it would not have been possible to claim Dash. Also my thanks to Pattie Shirley for taking Dash into her program and providing the retirement he deserves, Judith Smith for helping me put this all together, Bev Strauss for reaching out to me to help with the donations, Alex Brown as without his forum this would not have been that easy, and for every single person who donated funds to save Dash, I thank you from the bottom of my heart. Without you it would not have been possible, and as you can see with the pic below of his accomplishments who knows what would have become of him if he continued to race. He proved himself at his career until age nine and deserved his retirement.